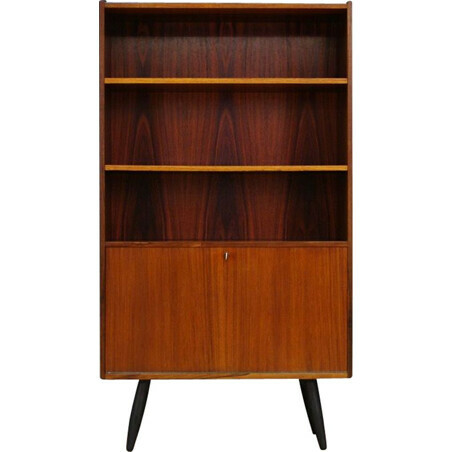 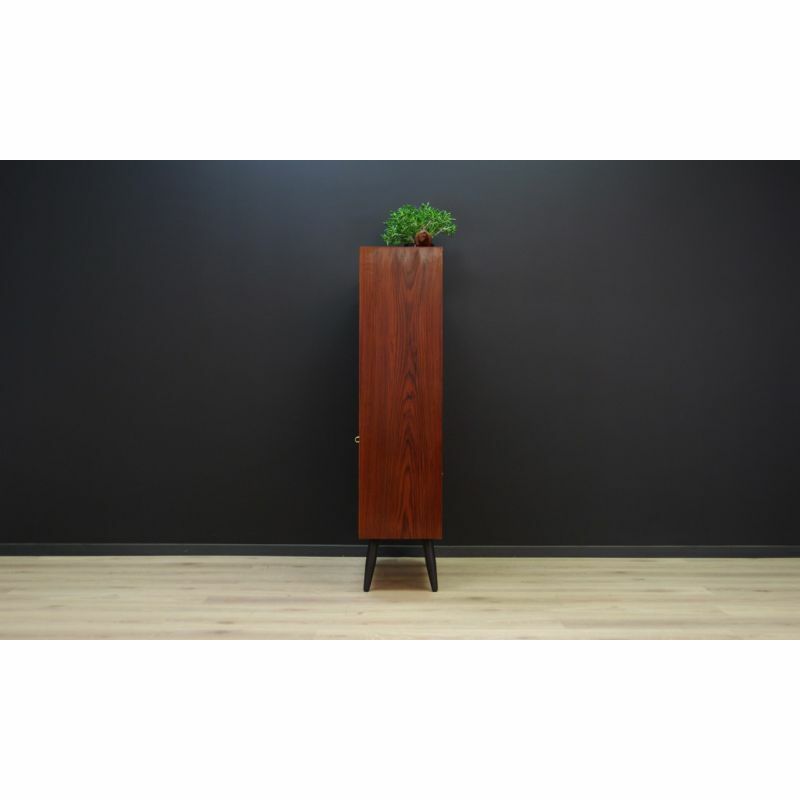 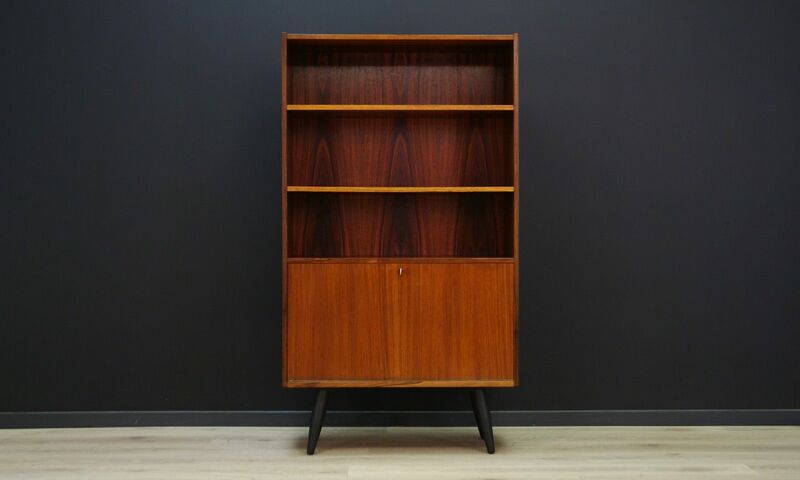 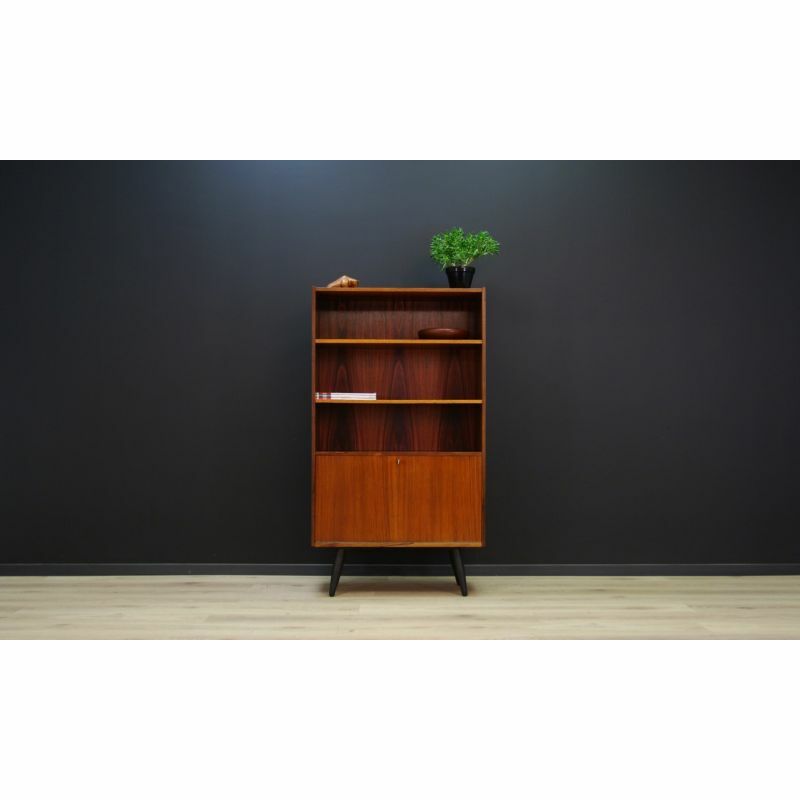 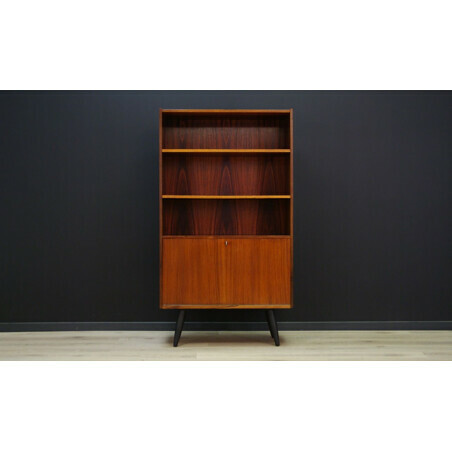 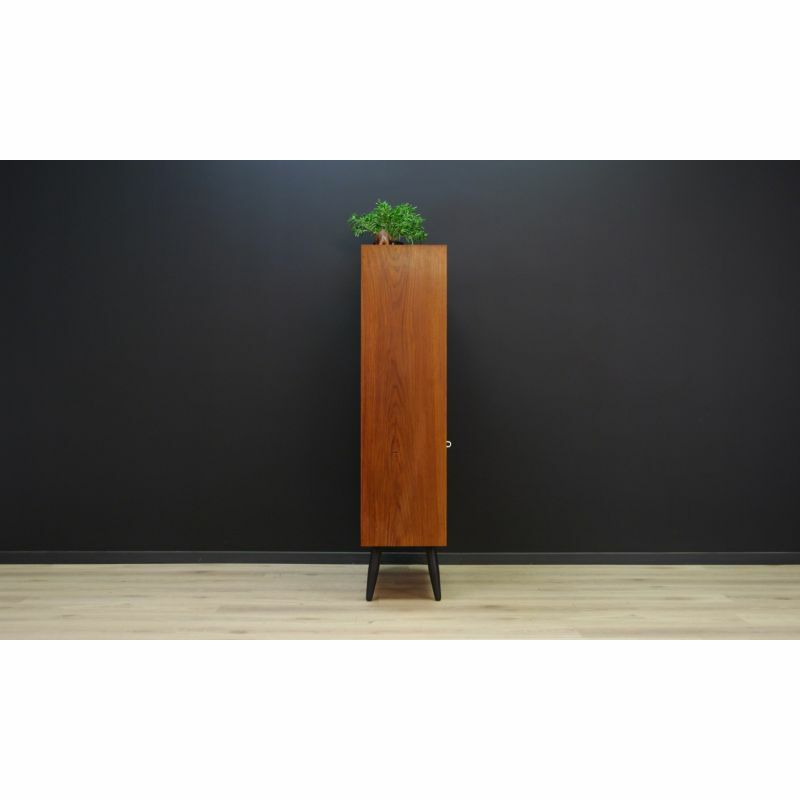 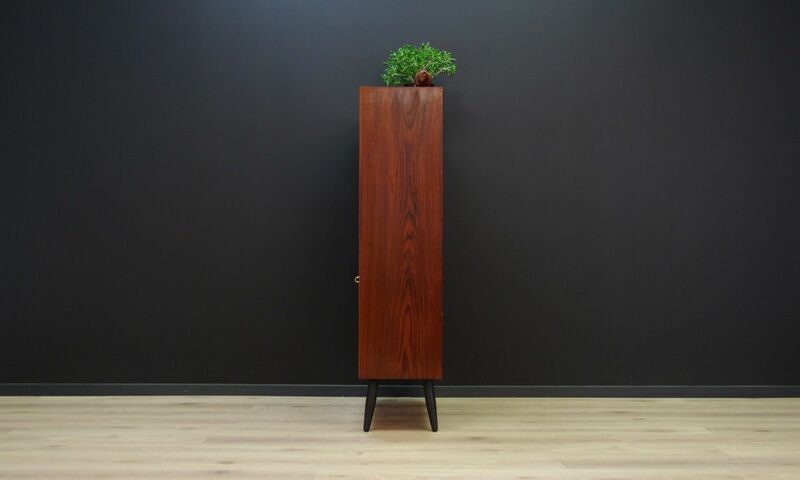 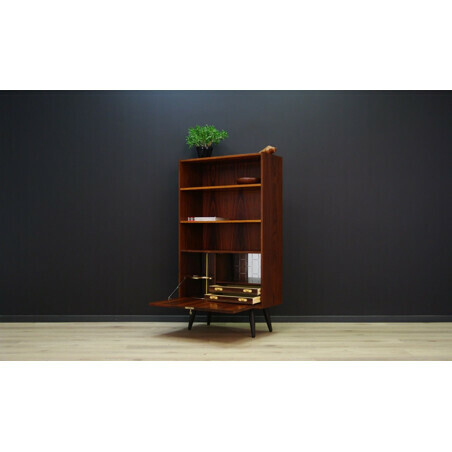 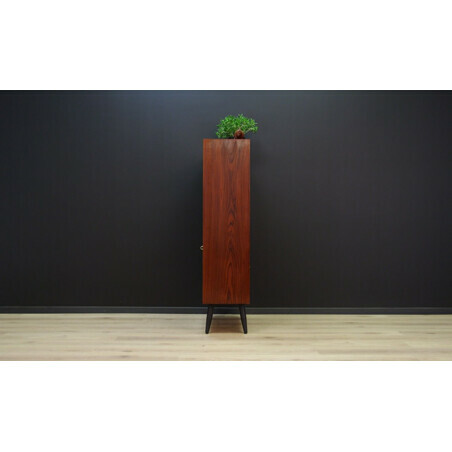 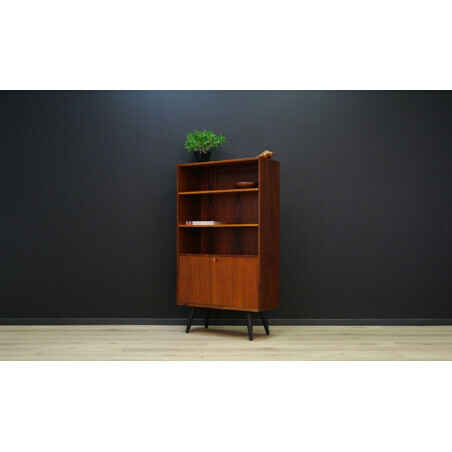 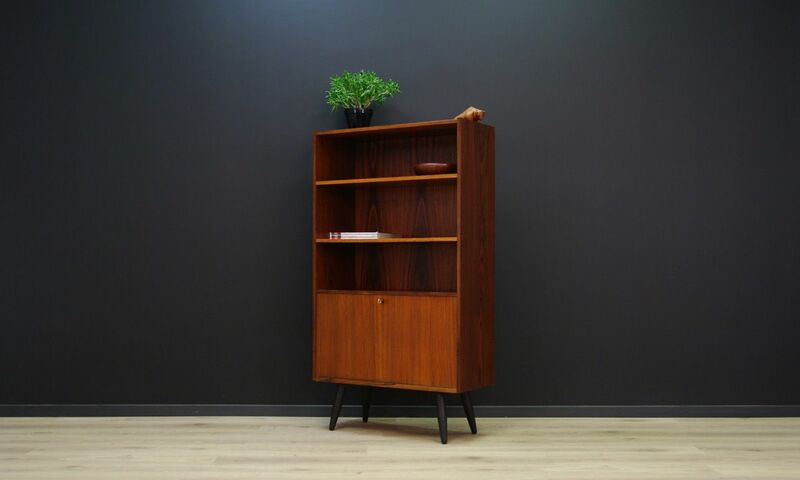 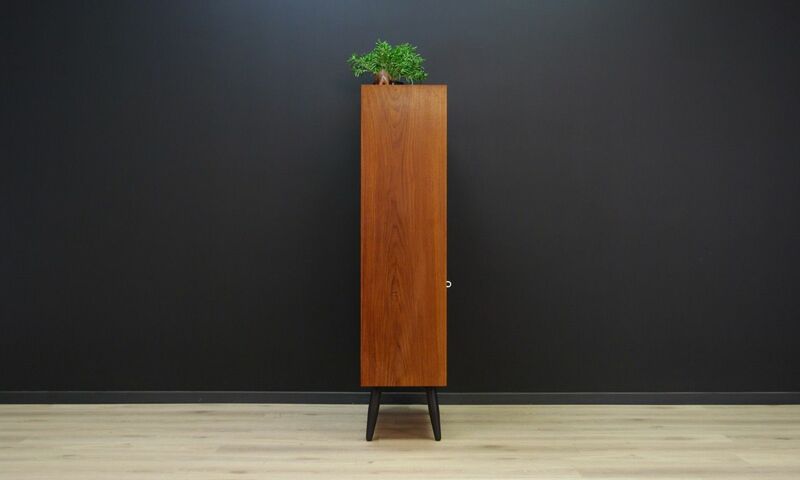 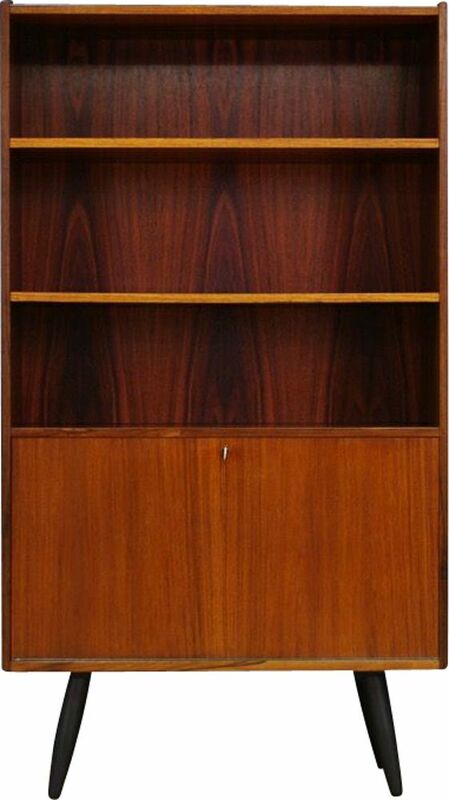 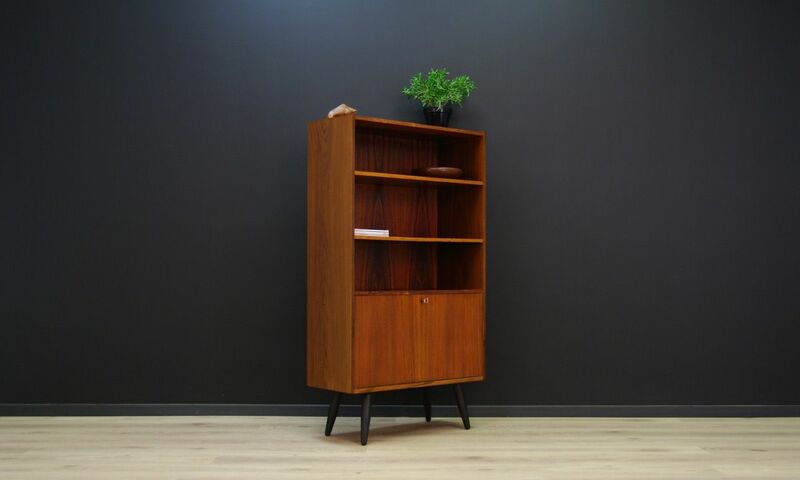 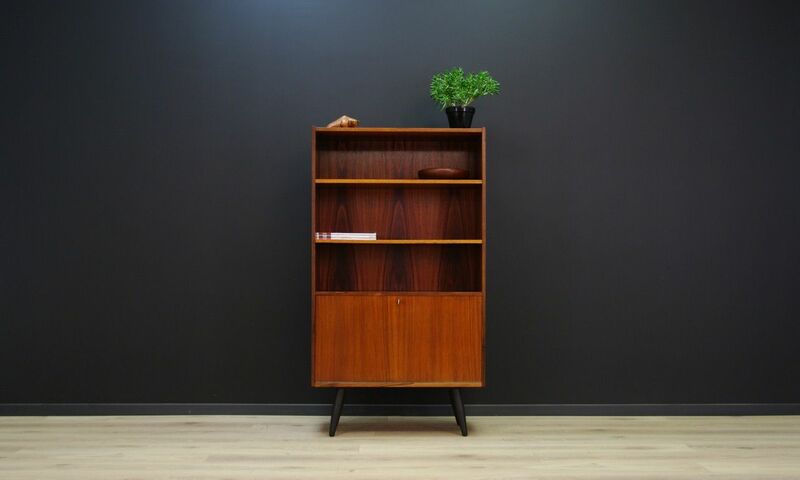 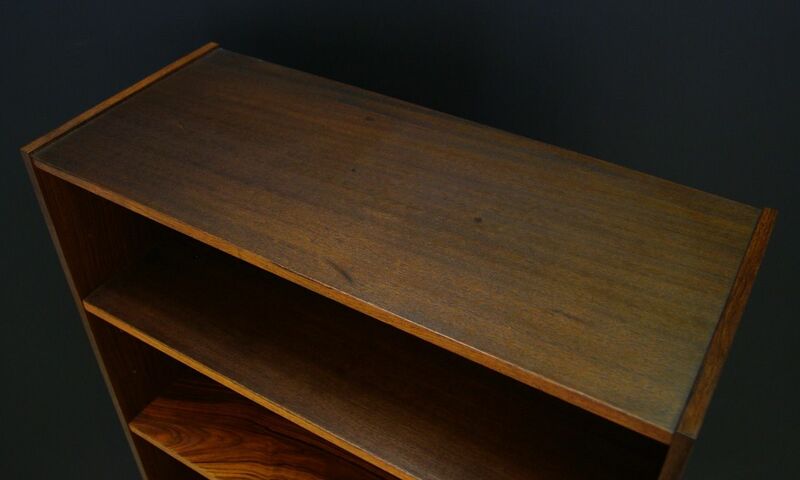 Vintage Danish bookcase from the 1960s. 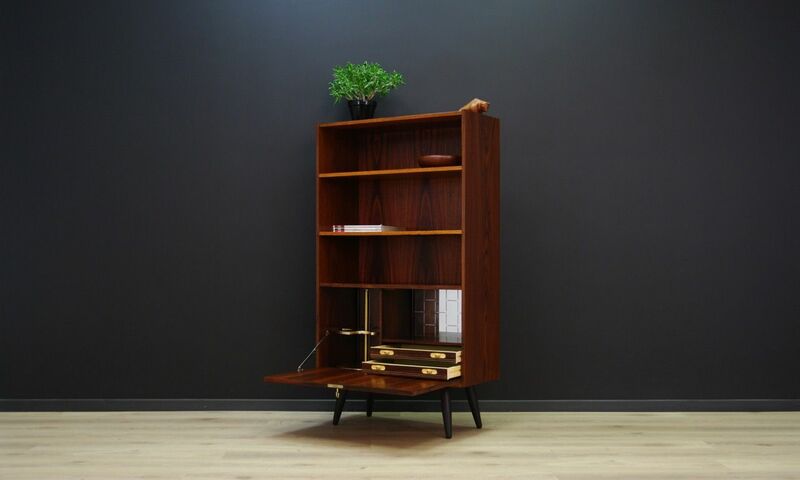 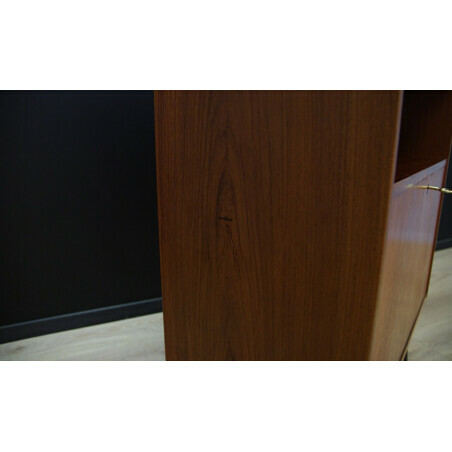 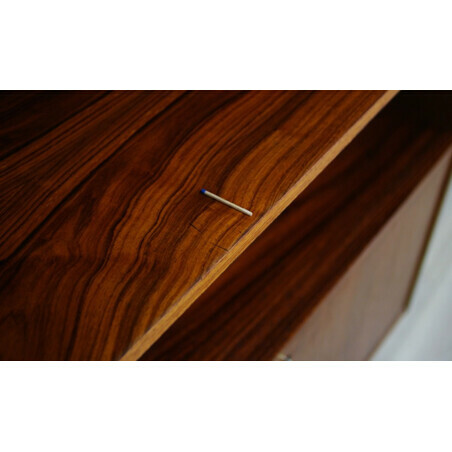 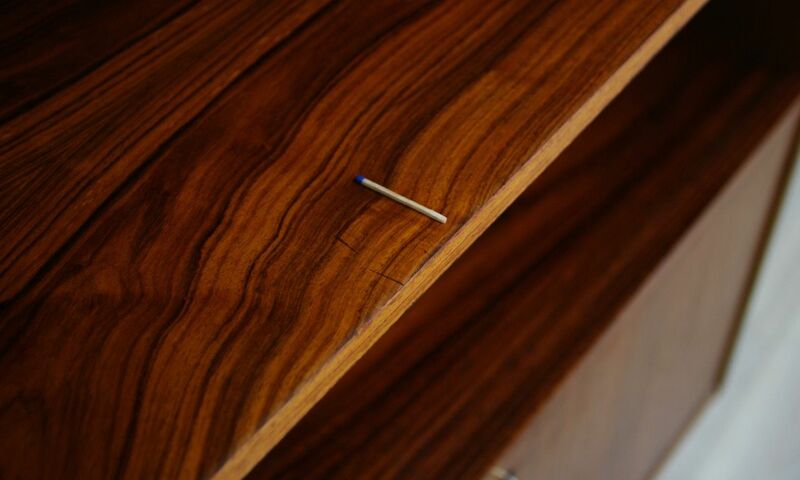 Two adjustable shelves and a bar, inside which there is a decorative mirror, two drawers and a rotating bottle holder. 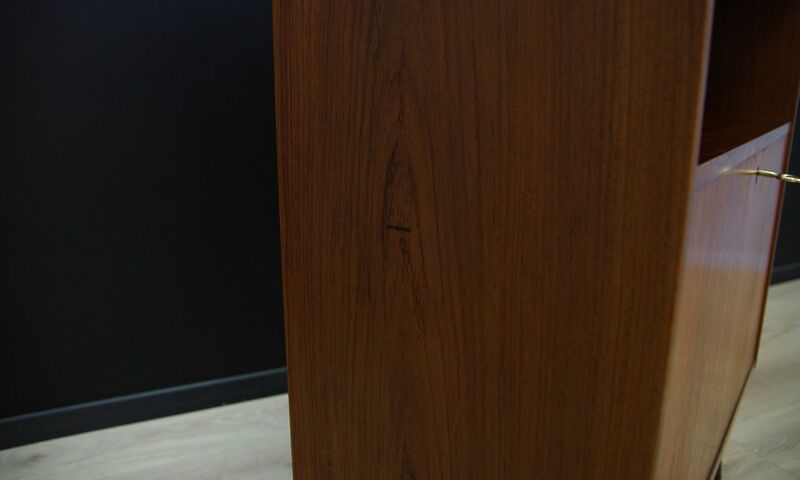 The key in the set. 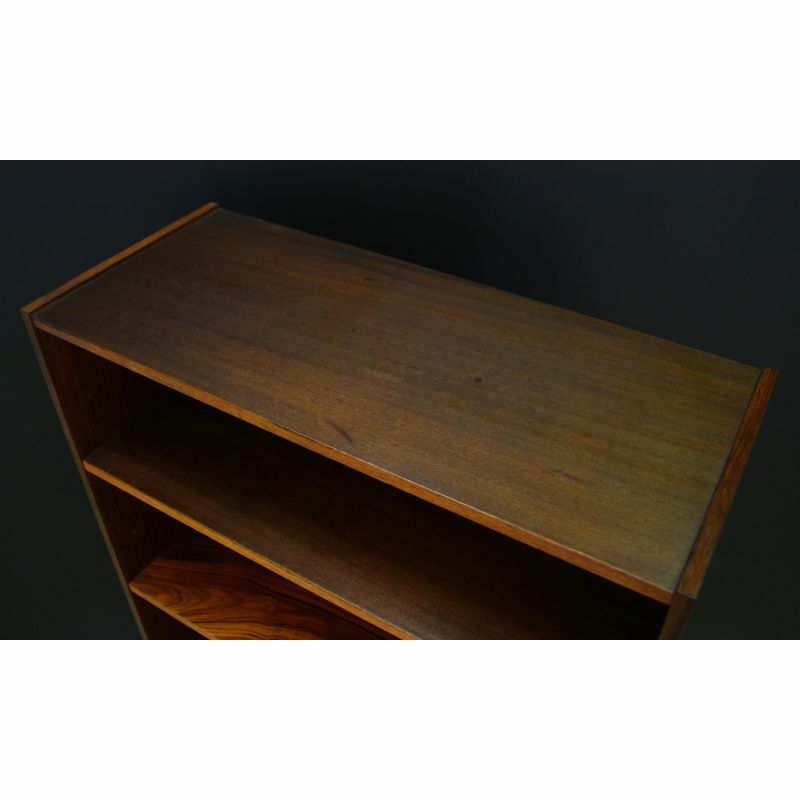 Preserved in good condition (small bruises and scratches). Dimensions height 143.5cm width 80cm depth 34cm.